Somebody is hunting down the Written mages in the wilds. Murdering and skinning them alive. Who? A mere girl. A girl who was born to rip the stars from the sky and bring them crashing down to earth. The direst enemy Emaneska has ever faced. In the wake of the Battle of Krauslung, the world has changed. For the darker. For the stranger. Magic swells like a storm, spilling from the stunned lips of farmboys and milkmaids, burning spell books to cinders at the lightest of touches. As Krauslung unknowingly balances on a knife-edge, tension mounts. Insidious whispers have begun to spread, drawing new enemies to the surface. Discontent, fear, betrayal... it seems that the girl is not the only enemy Emaneska faces. Who can stand in their way? Will it be a pair of struggling Arkmages, one blind, one Written? An Albion maid, on the cusp of her wedding day? Three shadows of gods? Or will it be a ghost, a bloody rumour, lost in a dark world of murder and bitter memories? One question above all lingers on their lips: where in Emaneska is Farden? 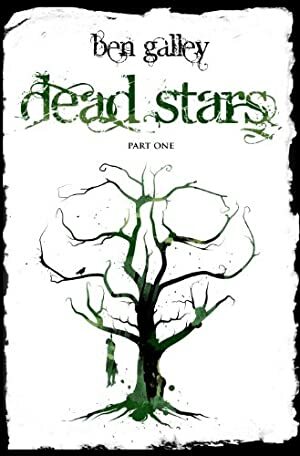 Dead Stars - Part One is the third book in Ben Galley's epic Emaneska Series, and the first book of its brutal two-part finale. If you want to find out more about The Emaneska Series, you can follow Ben on Twitter and YouTube @BenGalley, on Facebook and Instagram at @BenGalleyAuthor, or find all his epic and dark fantasy books at bengalley.com. We started tracking this book on June 1, 2013. The price of this book has changed 54 times in the past 2,148 days. The current price of this book is $3.03 last checked 18 hours ago. The lowest price to date was $2.49 last reached on December 2, 2013. This book has been $2.49 one time since we started tracking it. The highest price to date was $4.99 last reached on June 12, 2017. We last verified the price of this book about 18 hours ago. At that time, the price was $3.03. This price is subject to change. The price displayed on the Amazon.com website at the time of purchase is the price you will pay for this book. Please confirm the price before making any purchases.